Web Design and SEO experts for over 10 years. 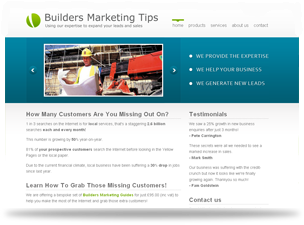 Search Engine Optimisation with Local Online Marketing. We're pleased to announce the launch of Lavoco.com, a social media service that aims to increase your Twitter followers by finding people who will truly engage with what you have to say. In addition to Lavoco, we have also released a Subscription Widget, a simple tool for any website to begin building a subscriber list for newsletters. At IntelCompute we're passionate about Web Design and Search Engine Optimisation (SEO) through Local Online Marketing, giving you a clean, vibrant, professional presence on the Internet. 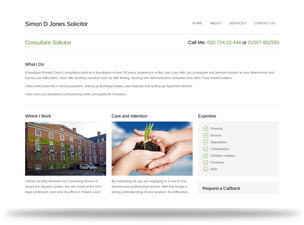 If you're looking for web design in Hampshire we'd like to recommend Fleet Web Design who offer a fantastic customer-focused service at great rates. In addition to web design they also offer managed hosting plans at affordable prices, Fleet Web Design can also help in improving your ranking in search engines with their SEO and Online Marketing plans. 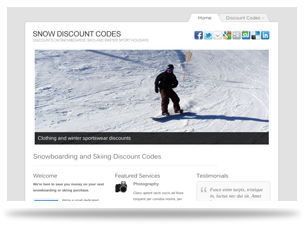 One of our more recent projects has been a voucher codes site which has started to see steady traffic from Google of around 200 visitors per day, and we haven't even started our proper SEO yet. 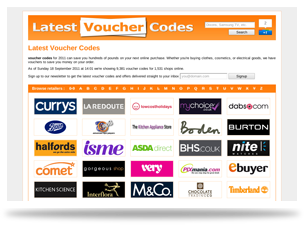 Voucher codes are a great way to save money when shopping online. 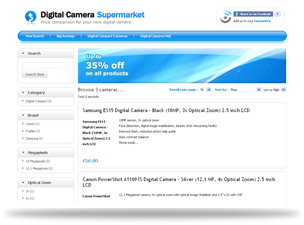 For more information please visit www.latestvouchercodes.co.uk. We take care of all the hassle, including advice about buying a domain (or buying it on your behalf), and giving free hosting and email. We're different to many other web design agencies as we don't waste your time, we just get on with what we do best, getting the job done, and getting your company online asap. Once we've built your website, we offer free after-sales customer support to take care of any small changes, or supplying more email address, etc. With your website online you'll then want to ensure you get the best possible exposure and reach the maximum amount of new prospective customers. Our Local Online Marketing services offer all this, including optimising your website for the search engines, this Search Engine Optimisation (SEO) should be an ongoing process for any website. All of our packages are hassle-free and affordable - we take care of everything. 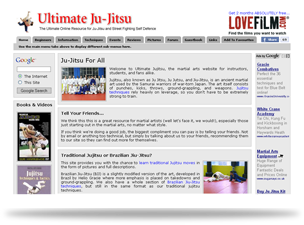 Professional web design at afforable prices. We call it Web Design and we've been website designers for over 10 years and have a real passion for everything Internet-related. We feel our web design skills set us apart from other website design agencies by always giving that little bit extra, and giving full support through-out the life of your website. We also ensure that we implement good SEO as we build your website. 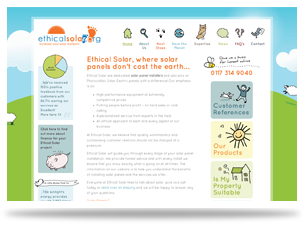 For more details on the packages we offer please contact us for more information, or to just have a chat about our web design. When it comes to SEO and online marketing, we've been doing this for just as long as we've been building websites. Covering Search Engine Optimisation (SEO) to managing Pay-Per-Click campaigns we're ready to attract new visitors to your website today. To see how we can help your business, take a look at our Search Engine Optimisation Results page for a full breakdown of what we can acheive. ...or give us a call on 07857 940 003.